My niece started her freshman year at McGill in Montreal. 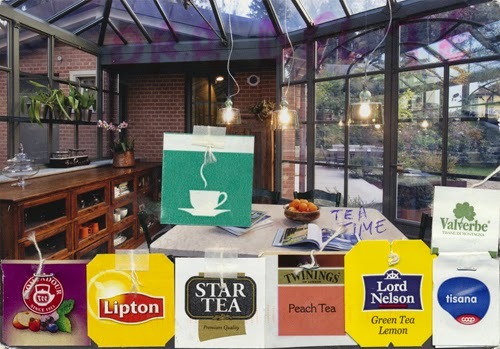 She sent a multiview card of the various sights in town. Unlike her finishing school, McGill is huge. She is in a class of 500 and wants to major in engineering. It is sink or swim time for her. 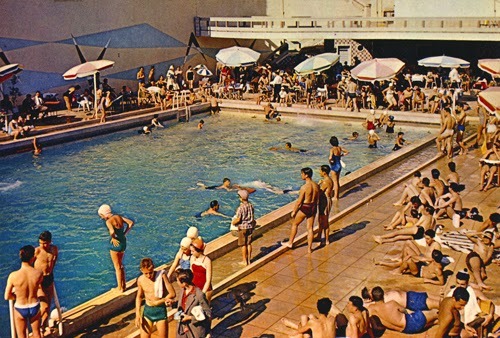 I sent her a vintage Portuguese pool card to remind her of her swimmer past. 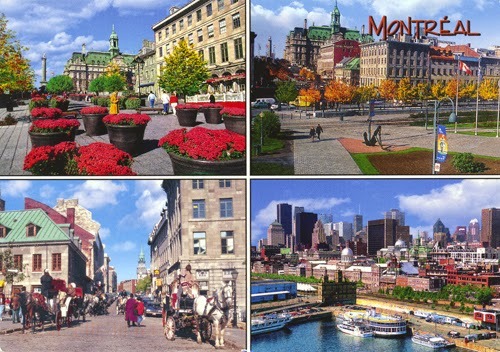 And also of warm weather as Montreal is already turning cold. 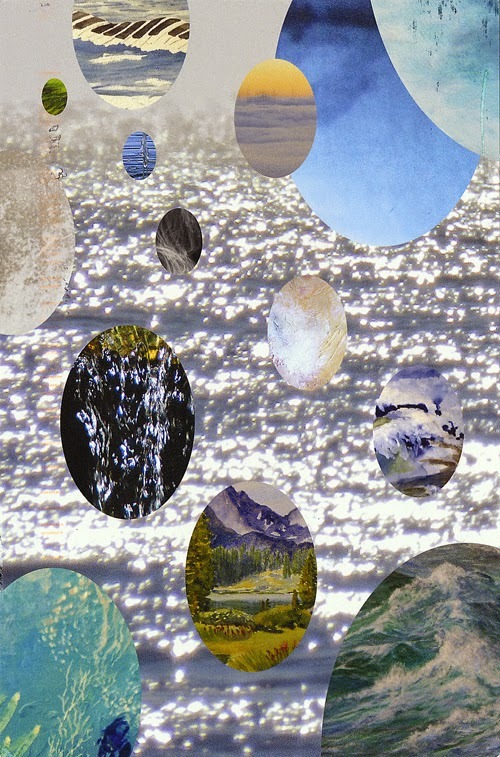 The Peninsula Women's Caucus for Art sent a card announcing a group show called Water. It runs from Sept. 12 - Oct. 12 at the Coastal Arts League Gallery in Half Moon Bay. 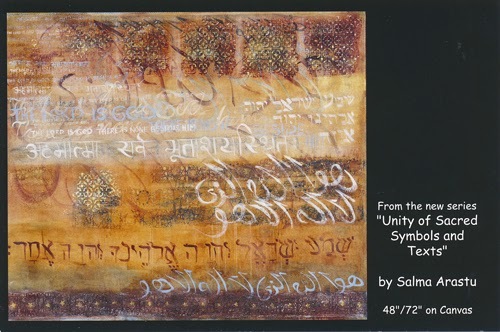 NCWCA artist Salma Arastu just received a grant from the East Bay Community Foundation to create a new series called "Unity of Symbols and Sacred Words." In May, 2015 her works will be exhibited at the City Limits Gallery in Oakland. Congratulations Salma! A lovely old temple built in 1655 in tribute to Confucius. 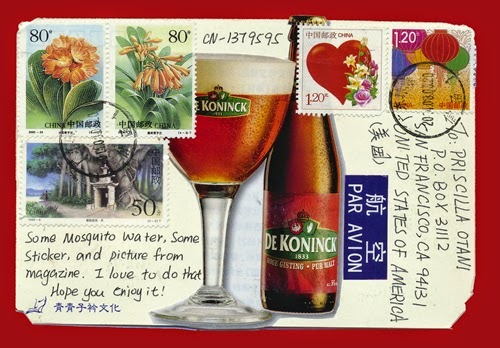 From a postcrosser in Taiwan. 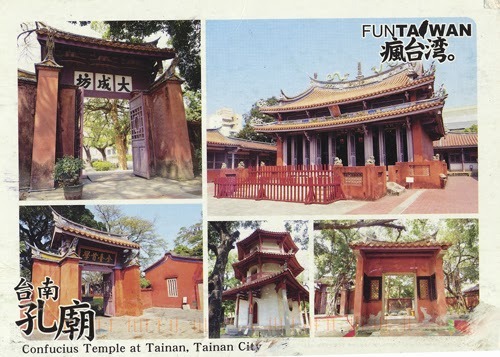 A nouvelle image card from a Taiwanese postcrosser. The title is le troisieme homme and I am wondering if it relates to The Third Man, a 1949 film noir starring Orson Wells, Joseph Cotten and Alida Valli. 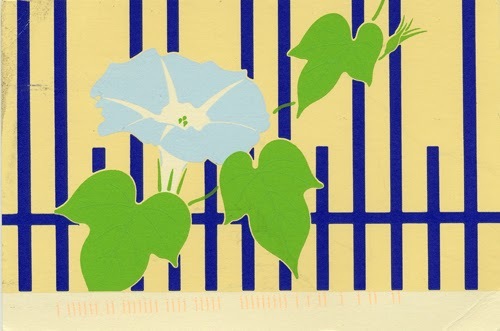 A summer card from a Japanese postcrosser. She wrote that it was her favorite flower. There was a neighbor who liked to grow these from seed every year in Japan. The flowers were dark blue and ephemeral. They wilted as soon as the heat of the summer came up with the sun. But then, at dawn, there they were again, wet with dew, with a (false) promise of a cool summer respite. 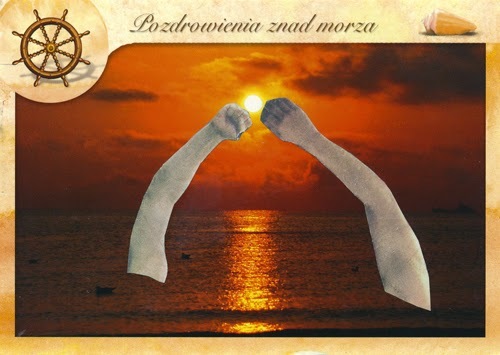 A postcrosser in Poland writes that these are arms of soccer players holding up the sun. 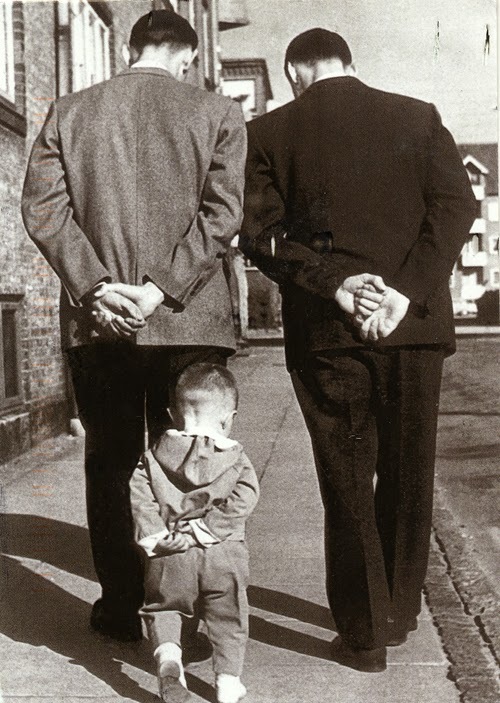 However, the simple image can be interpreted in many ways. For example, today, they represent for me a sign of victory! The Oakland A's came from behind in the 9th inning and beat the Houston Astros. Yay! 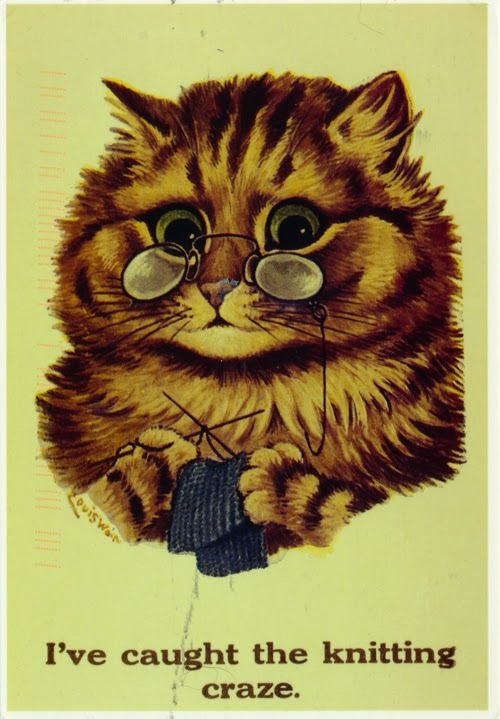 Here's an altered card from a 19-year old postcrosser in Belarus. 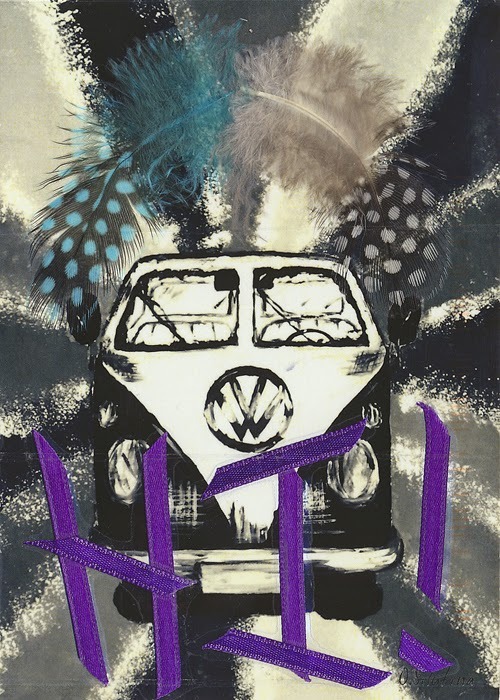 At first I didn't see the original image of the VW bus. It has been altered to look like a goth mask or a skull. Real feathers were included. 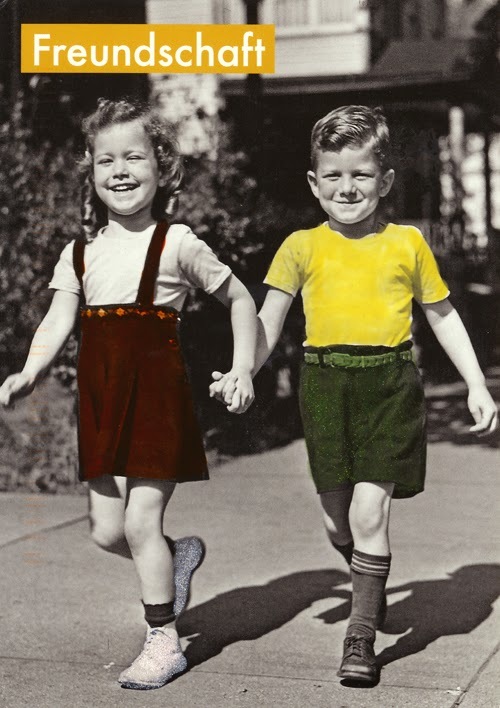 Sometimes youthful writers are less inhibited about their alterations. I love it! 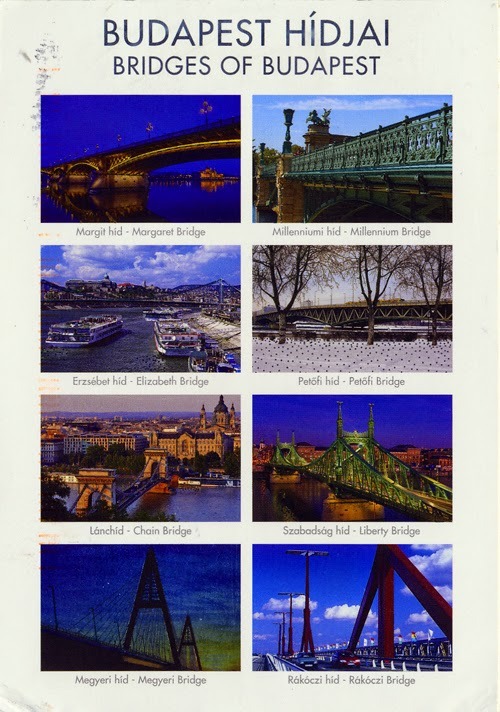 Here's a lovely multiview of Budapest bridges from Geoffrey, who was there this summer. 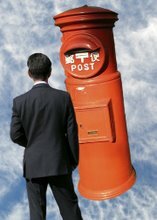 He sent it July 8, but it only arrived this week. 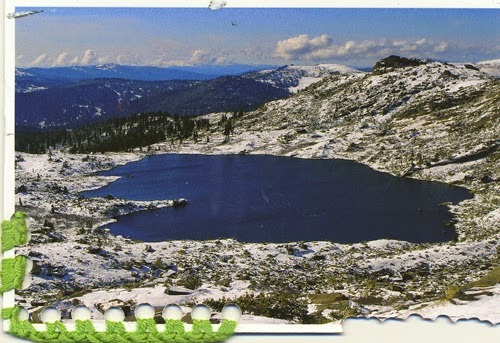 Here's a bit of knitting on a postcard from Krasnoyarsk, Russia. A city in Siberia, it was part of the gulag prison camp system during Stalinist times. It is a major junction of the Trans-Siberian Railway, and the place Anton Chekov deemed the most beautiful city in Siberia. The view of the Buibinskoe lake is spectacular and it is now on my bucket list. Here's a burned and sewn card from Belarus. 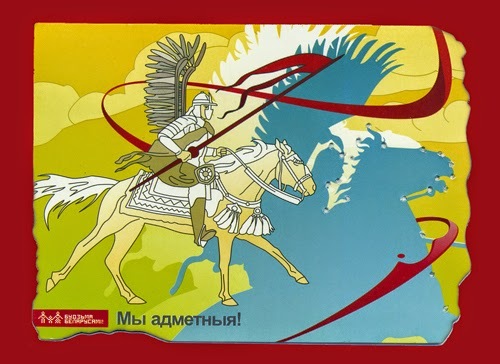 Pahonya is the official symbol of this country and the postcrosser writes that there are many symbols of pahonya, or knights riding horses in Belarus. Susan is in England right now and enjoying the sights. She picked up this fabulous card and said it reminded her of me. Reminds me that I need to finish knitting my socks. 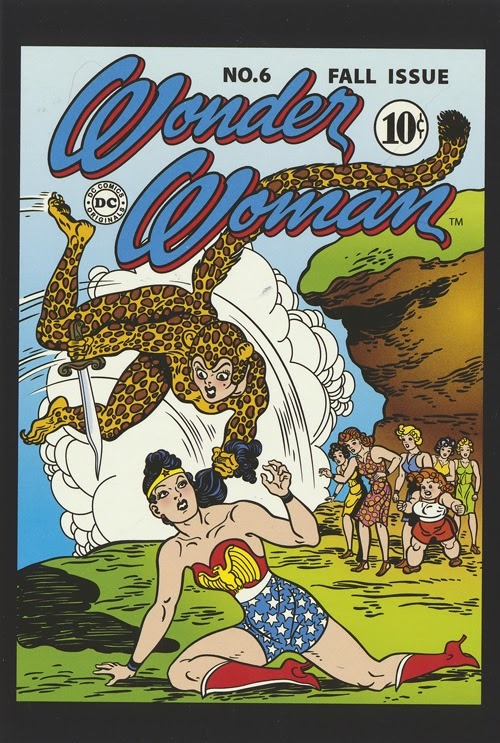 This vintage comic book cover is going to a postcrosser in Russia who likes tigers and horses. 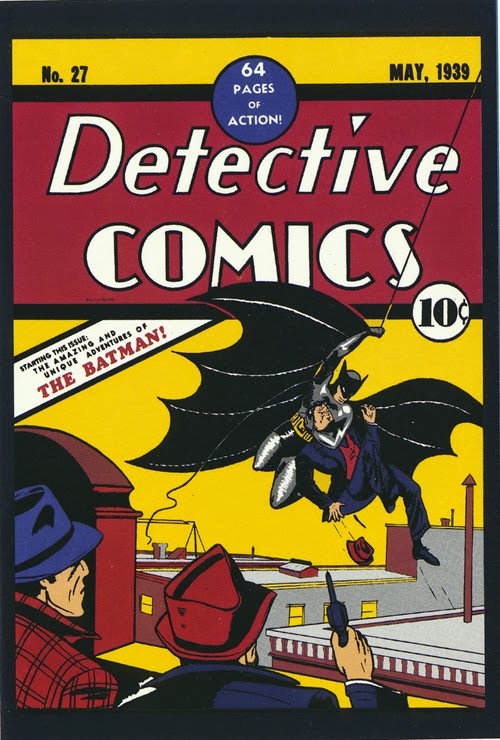 Batman is going to a French postcrosser who likes reading comics. I wonder if he has even heard of Batman? 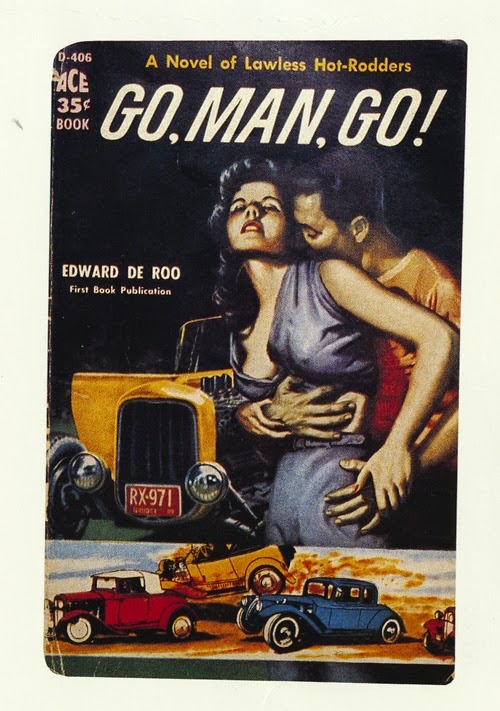 This pulp fiction book cover card is going to a postcrosser in Lithuania. In taking a second look at her profile, this might be a bit too adult for her. Oh well. 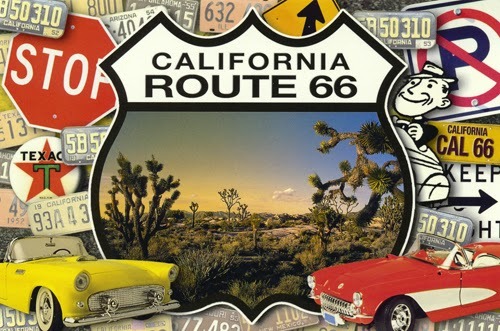 This Route 66 card is going to a Swiss postcrosser who likes to knit, read and cook. I hope this card awakens a desire to hit the road. 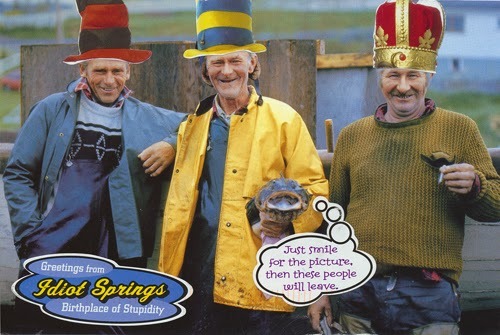 Three jolly clowns from Newfoundland! This Edward Curtis card of the Maricopa women is going to a postcrosser in Moscow. 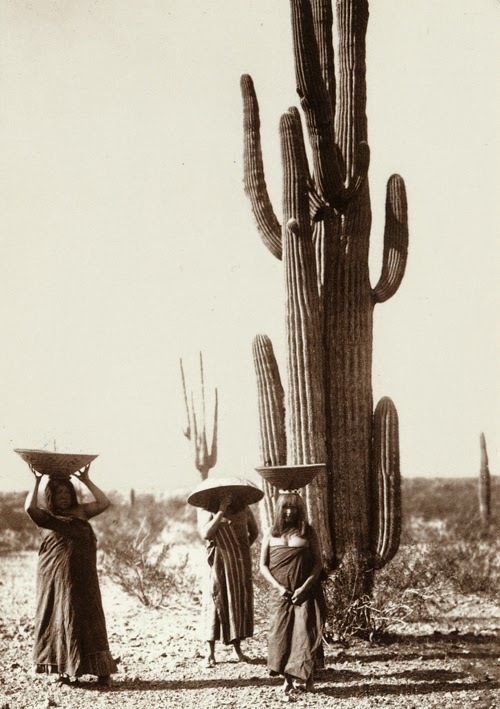 These women are supposedly harvesting fruit growing on top of the saguaro. Only thing is, it is not the right season for the fruit. 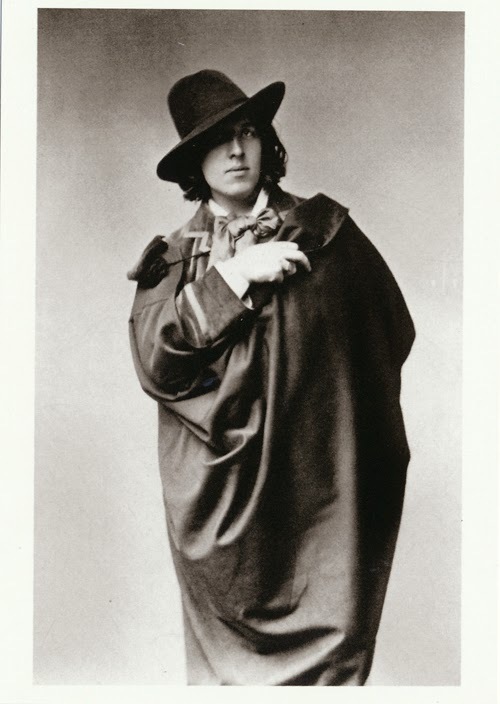 This youthful portrait of Oscar Wilde is going to a postcrosser in Belarus who loves the theater. I got this card from the Jewish museum in San Francisco. 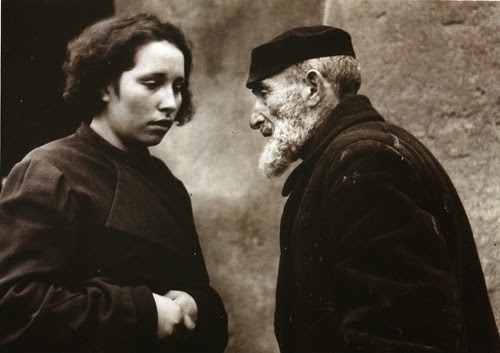 It portrays a grandfather and granddaughter in Warsaw, photographed by Mara Vishniac Kohn. It is going to a German-Filipina postcrosser living in the Philippines. 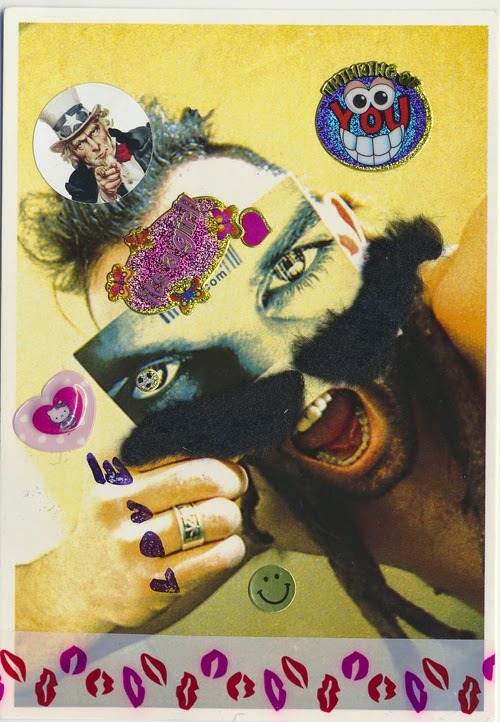 Here's an altered ad card from a postcrosser in Germany. 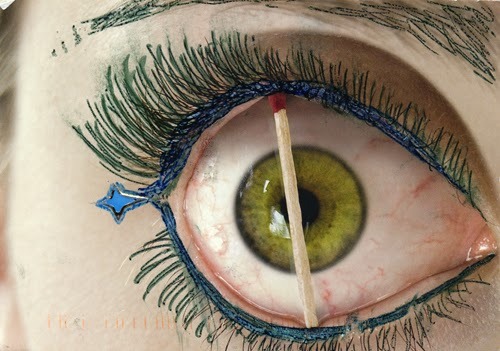 She added some "makeup" around the eye. Rather a disquieting image, even without the enhancement. 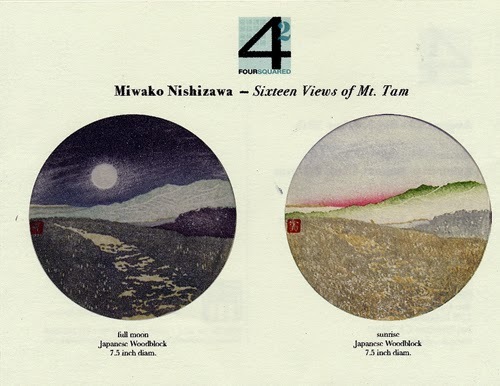 Miwako is a Japanese woodblock print artist. Here are two prints, currently on display at Arc Gallery in San Francisco. She made a series on the views of Mt. Tamalpias in Marin. Some say that it resembles an Indian maiden lying down.